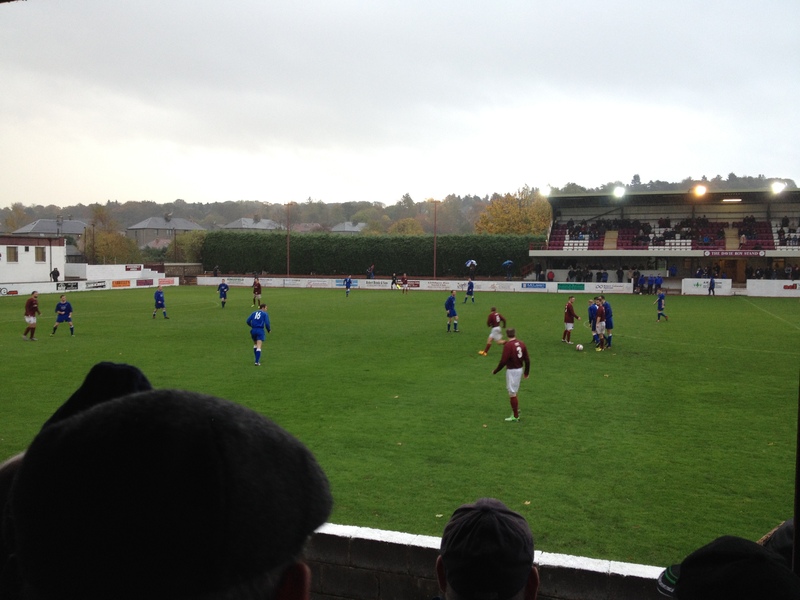 A cold day in West Lothian saw Linlithgow Rose reach the third round of the Scottish Junior Cup against western underdogs Carluke Rovers. Both the weather and the result were different from my previous visit to Prestonfield on a relatively balmy October Saturday. This time round, the Rose ran out easy enough 5-1 winners against the South Lanarkshire side. Things didn’t go all the home team’s way however, with Carluke taking a surprising lead after thirteen minutes. Some good work on the right and a nifty turn from Rovers’ Murphy saw him find space to square it to Watt who, standing on the edge of the area, knocked the ball into the inviting net. Carluke’s lead did not last too long, however, with Calum Smith on hand 6 minutes later to convert a neat finish and calm down the uneasy home support. Rose then took a 2-1 lead before the half-time break, Tommy Coyne converting what appeared to be a slightly soft penalty for the home side, sticking it calmly down the middle. The next goal was going to be extremely important and again it was Coyne who stepped up to the mark for Rose just after half-time, netting the rebound after initially hitting the game’s second penalty straight at Carluke keeper McLachlan. Some second half action – the referee has just broken up some on-pitch squabbling between the two sides. The fourth goal arrived soon thereafter. Roddy MacLennan burst through the middle, beating Rovers’ left-back Stewart for pace. MacLennan’s initial finish having rounded the goalkeeper was cleared off the line by Stewart, who then rather unfortunately collided shoulder-first with the far post. While he was out of action, MacLennan converted the rebound with some work still to do. Stewart was then stretchered off, having taken a rather sore one off the frame of the goal. The last goal of the match was definitely the classiest. Some good work down the right from Shirra, who was Rose’s best player on the day, found Smith near the penalty spot. The Linlithgow striker took a touch before slotting a backheel into the bottom corner. Home manager Mark Bradley made a triple substitution not long after the fifth goal went in, and from that point on Rose lost their previous fluency, with Carluke going close a number of times to getting a consolation goal or two. As it was, the match petered out relatively quietly despite that Carluke pressure, with Linlithgow asserting their position as reigning Superleague East champions against their West Division One Central opponents. 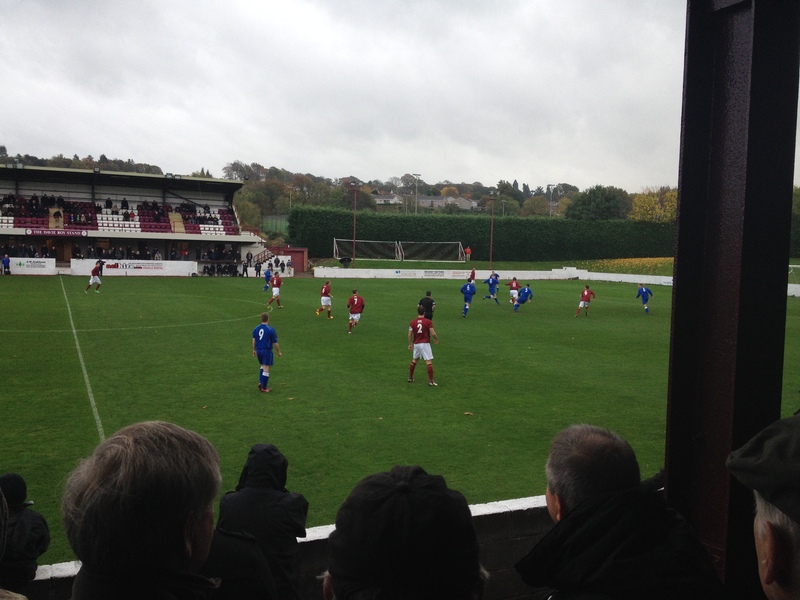 Another good day of football tourism was had in West Lothian – this time ending in a professional and clinincal win for Rose.